Travel back in time and get ready for our fifth 19+ Adult Night out at The Exploration Place. Come dressed in your best and brightest neon colours for our Way Late Play Date - Neon Night. Gather your friends for rad games, science demos, live DJ, licensed bar, snacks and Chinese New Year FIREWORKS by Starlight FX! This is an adult night out you don’t want to miss! Brought to you by The Exploration Place and 101.3 The River! This event is held at the College of New Caledonia for Black History Month to help raise funds for two wonderful charities. Last year, Caledonia Nordic Ski Club in partnership with Northern Lights Winery hosted the first Wine Tour. This year we are doing it again with wines from across the province. Ski a route and stop to taste wine along the way, finish at the lodge and enjoy a cup of warm mulled wine and appetizers. Tickets for club members are $25 while non club member tickets are $30. Trail passes are included with the purchase of one ticket for non club members. Rental equipment is available at an extra cost. Rental equipment is available on a first come, first served basis. Each ticket includes five wine tasters, all following drinks are available for $5 *cash only*. Please drink responsibly, must be 19 and over to purchase a ticket and participate in this event. Everyone is welcome to join us outside in the parking lot of The Exploration Place for the fabulous fireworks display by Starlight FX to celebrate the 2018 Chinese New Year. This year is the year of the Year of the Dog! We would like to thank and acknowledge the support from the Province of British Columbia. Please note that the parking lot is usually packed and our building and bathrooms at The Exploration Place will be closed to the public as we host our 19+ Adult Night Out, Way Late Play Date - Neon Night. This is a ticketed event. Take a trip through the co-operative world, organic farming, standing for healthy waters and denial. A full day of films and a separate fundraising dinner for the festival at 5 p.m. at Sassafras Savouries. Tickets for the dinner available at Sassafras Savouries at 693 Brunswick St. $35 per person. 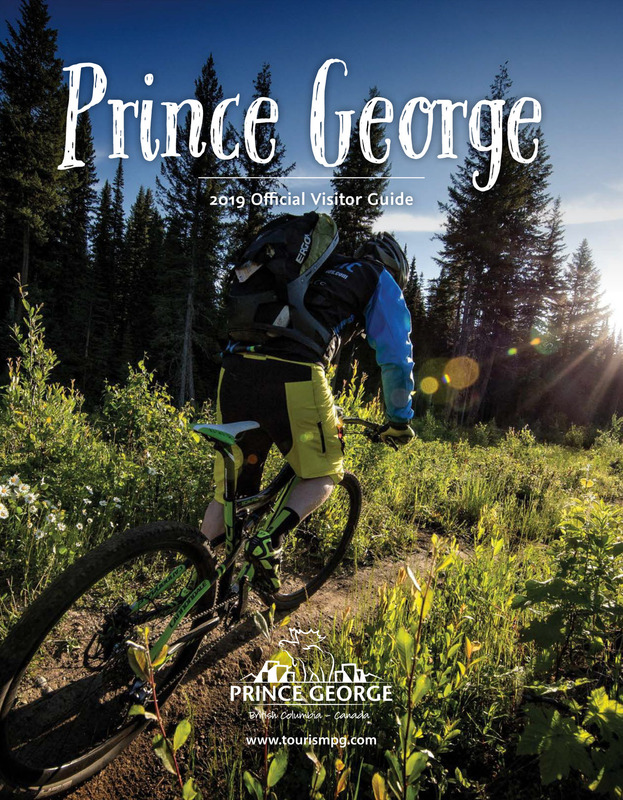 Afternoon films begin at 2:30 p.m. Evening films begin at 7 p.m.
Free event featuring local history displays, authors, local museums, UNBC, the Prince George Public Library and the Prince George Heritage Commission and other groups. Join Dana Strilkiwsky and Denise Marshall for a 3 hour exploration of yoga, meditation & vision boarding. Denise will guide you through an hour of easy movement and meditation to open your heart and creative centre. Dana will then lead you through creating a vision for your life and learning how to manifest what you desire by setting intentions and using the power of visualization to make your very own beautiful and unique board that will be yours to take home. Vision boarding is perfect for helping people find direction and clarity in life. Denise is a 500hr yoga instructor and lover of exploring what life has to offer on and off the mat. In her roles at Chinook Yoga, she has truly been witness to the powers of yoga and how being receptive to the universe and what it has to offer you can change your life. Dana is an Integrative Nutrition Health Coach and Founder of Heart-Centered Health Coaching. Her mission is to help inspire people to connect to their true selves so they are able to manifest in to the world their unique gifts and life purpose. Some of her health philosophies include practicing self love, eating whole foods, gut health, being active, connecting with nature/being eco conscious and simplifying life. Northern Lights Estate Winery presents the Northern Lights Winter Wine Festival. For $20, you'll get to sample different mulled wine carefully created by local teams. Complete with music, this annual event promises to competitive and delicious. Bring the whole family, enjoy the festivities and even take home your sampling mug. Call us at (250) 564-1112 to get your tickets from either 12:30-2pm or 2:30-4pm. Tickets can be picked up at the wine shop. This will be the first World Championships our city has ever hosted, and the first time the World Para Nordic Championship are hosted in Canada. Next February we will be welcoming over 140 of the world's best para Nordic athletes from over 20 countries for 10 days of truly inspiring competitions. These will be the very same athletes we will be watching a month from now at the 2018 Winter Paralympics in PyeongChang, Korea. -Para Nordic demonstration - try sit skis, visually impaired skiing, etc. The twelfth annual documentary festival brings the world to our community. Hosted by community organizations to brings awareness and interest to stories that surround us. Evening shows begin at 7 p.m. Weekend films begin in the afternoon. Visit @PGTWCFF on Facebook for daily posters. Admission $5/day or $30 Full Festival Pass available at the door and at Books and Company. Judy Russell is thrilled to be bringing back Kander and Ebb’s Tony Award-winning musical CABARET to the Prince George Playhouse February 13, 2018 – February 24, 2018. Russell previously staged the production in 2001 at the Ramada and remounted due to overwhelming demand in 2002 at the Prince George Civic Centre. Proudly sponsored by Canadian Tire. Featured cast members in the 2018 Production will include Owen Selkirk as the Emcee. Selkirk is a former dancer with Ballet Kelowna and was last seen on the Prince George stage in The Producers in 2012 as ‘Leo Bloom’. Judy Russell Presents Alumni Shelby Meaney will play Sally Bowles, (previously Maria-The Sound of Music), and Catherine McCarthy as Fraulein Schneider. McCarthy played Sally Bowles in the 2002 Production. Additional cast includes: Franco Celli as Cliff, Gary Chappel as Herr Schultz, Adam Harasimiuk as Ernst and Sandra Clermont as Frau Kost. CABARET also features an amazing local dancing chorus and production crew. Musical Director Curtis Abriel, Band Leader Greg Prosser, Director/Choreographer Judy Russell. CABARET, takes audiences deep into the seedy nightlife of the Kit Kat Klub in Weimar, Germany on the eve of Hitler’s rise to power. Led by the enigmatic and dazzling Emcee, CABARET is an intoxicating theatrical experience, featuring well-known classics of the musical stage such as “Don’t Tell Mama,” “Maybe This Time,” and of course “Cabaret”. CABARET is a beloved and compelling piece of theatre and the winner of 8 Tony Awards and has characters that are not only complex and dark, but funny and delightful – all in all, deeply human.